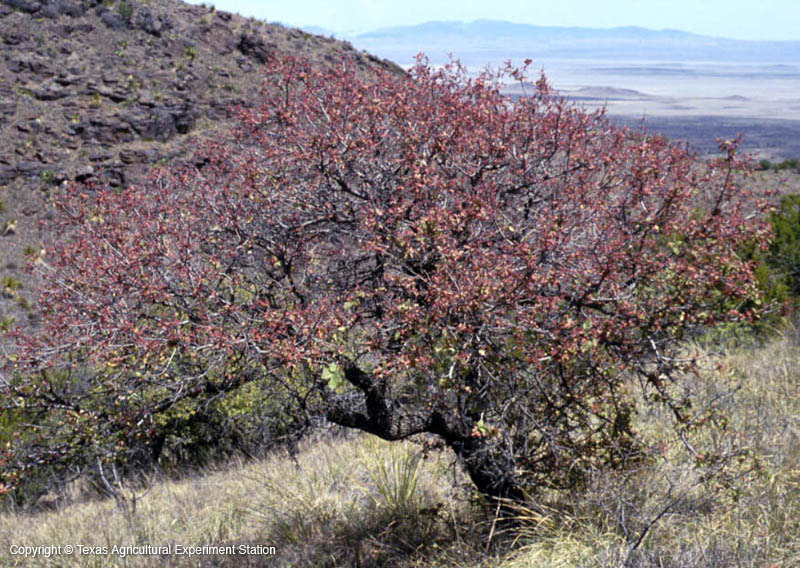 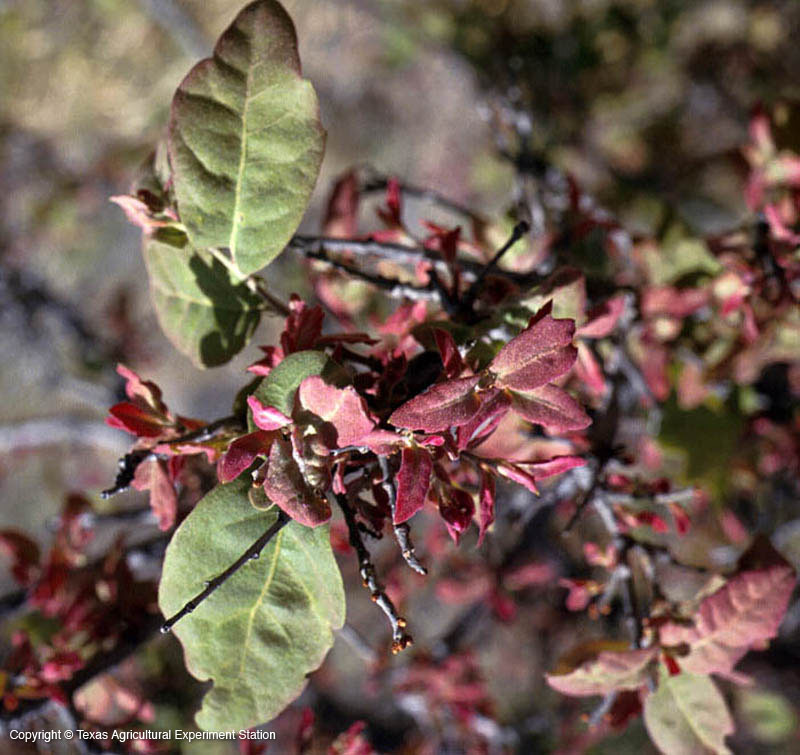 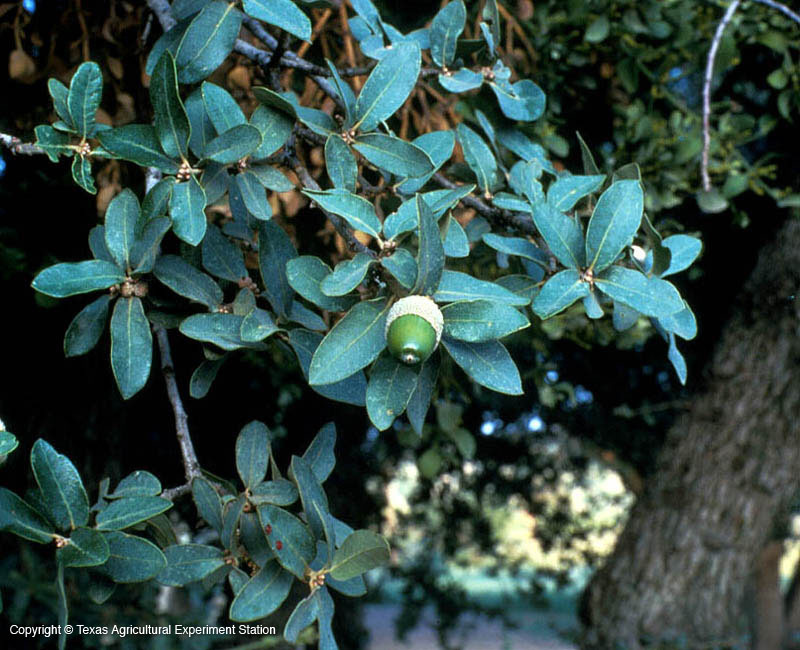 Gray oak is a small evergreen tree that grows in the mountains of west Texas, generally on dry rocky igneous soils, but sometimes on limestone. 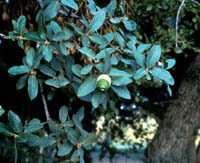 Its small leaves are a leathery grayish green and give the tree its name. 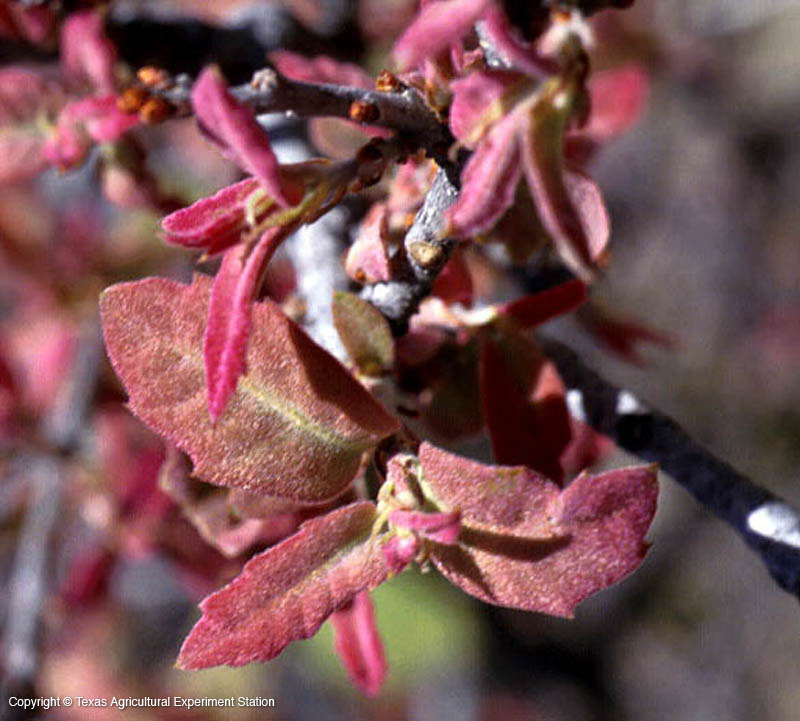 Gray Oak is closely related to Mohr Oak, Q. mohriana, and they look similar, except that Gray Oak's leaves have fuzz on both sides and Mohr Oaks's are green and shiny above.